Last week, FDA Director Scott Gottlieb announced seventeen different vape juice companies will stop selling flavors the agency was worried were ‘kid-friendly.’ The decision comes after warning letters the FDA issued to businesses earlier this year. The director acknowledged the agency’s support of vaping for adult users, saying instead their goal is to “limit youth appeal, and reduce toxic exposure to youth from all tobacco products, and, in particular, e-cigarettes.” Products targeted in the FDA’s warning letters were cookie or candy flavored, labeled with imagery or verbiage deemed enticing to young buyers. “When companies market these products using imagery that misleads a child into thinking they’re things they’ve consumed before,” Gottlieb said in a press statement. In May, the FDA issued warning letters to companies about their products’ packaging and advertising. Following initial investigations from 2017, products labeled or advertised to imitate food products were most problematic. “The products were considered misbranded and sold in violation of the Federal Food, Drug, and Cosmetic Act because their labeling and/or advertising imitating kid-friendly foods was misleading.” the statement reads. The FDA, together with the Federal Trade Commission (FTC) on thirteen of the warning letters, addressed deceptive or false advertising on product packaging. 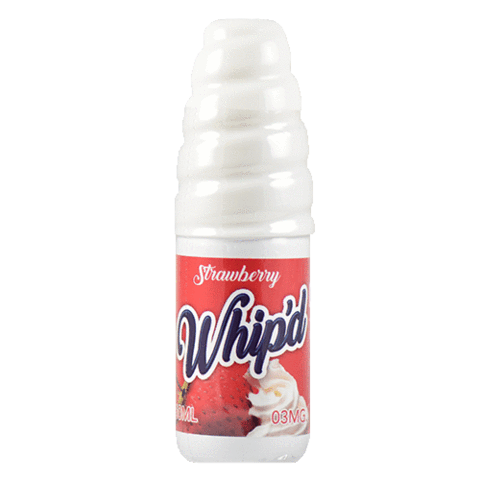 Striking out at at businesses selling a whip cream vape juice packaged to look like well known brand Redi-Whip, for example, does little to change that the product exists. By taking their concern from retail sales to targeted advertising, authorities strike closer to the psychological root of their concern. Products that are designed to look similar to food that kids consume were targeted by the FDA crackdown. Or are they chasing a waning adolescent fad? The figure of 2 million middle and high school students exemplified in their statement contrasts with 2015 data showing 3.2 million teen vape users. Most recently, in 2017, CDC data claims e-cigarette use is highest among adolescents compared to other tobacco and hookah products. Even that more recent number, though, is only 1.1 million. Media coverage over the last year conveys a rising teen vape epidemic. Looking at the raw data from the CDC, however, teen vape use has declined overall in the last 3 years and is at an all time low. As for adult vapers, research data published in the Harm Reduction Journal shows a rise in preference for fruity or dessert flavored e-liquids. Sweet flavors accounted for over half of all current e-cigarette user preference, growing exponentially between 2013 and 2016. “Tobacco and menthol flavors, the two most popular flavors for initiating e-cigarette use prior to 2013, now rank as the 5th and 6th most popular currently used e-cigarette flavors, respectively,” researchers found. Increased FDA regulation and localized vape flavor bans could have adverse effects on the legitimate vape consumer market, despite their good intentions for our children.